This entry was posted on February 1, 2010 at 11:12 AM and is filed under baking, food events, kids & food, restaurant food. You can follow any responses to this entry through the RSS 2.0 feed. You can leave a response, or trackback from your own site. How incredible and wonderful is this?! I’m totally not surprised the classes fill fast. Just terrific. I love the name of this club! Your post again made me wish I lived in the Bay Area where innovative ideas appear to percolate on a regular basis and become reality so seamlessly …. Love this! I also think the cooking club she started in college is amazing. Very cool. I love reading stories about innovative, inspired young people. I’d never heard about this before today but it seems like SUCH a good idea! I love to hear about people who see a need, then fill it. Fun, inspiring story. What a great idea. So many kids cooking classes are dummied-down versions of snacky foods like smores or cookies. 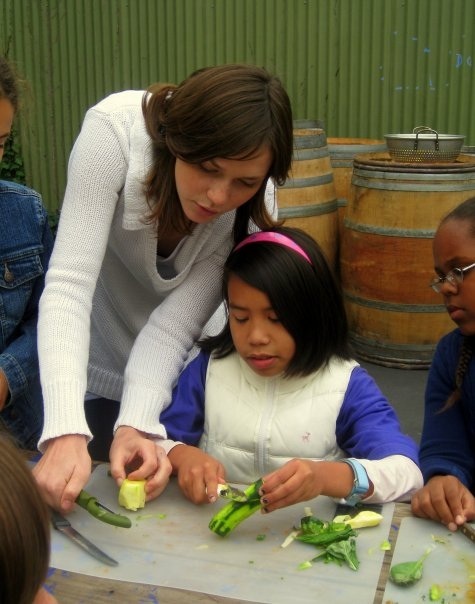 But to be able to have kids really learn how to cook and from top chefs using local ingredients…sounds fabulous. What a superb idea. I think it is so eye-opening for children to see first-hand how people eat in another culture. Our children lived in Japan for the last four years and it’s been very interesting for them both to have eaten/cooked/lived abroad, and to see how people eat here in the U.S. I agree that food is a great way for children — and adults — to engage with and get to know a different culture. What a wonderful experience for your family to have four years in Japan. What do they miss food-wise from their time there? Great blog post. And, Karen Rogers is truly amazing. This girl knows how to get in there and get the job done. Teaching kids about food, couldn’t be better! Kudos to her and to you Sarah for writing this blog post. Plus, love Boulevard, Chez Panisse, and Slanted Door. Gary Danko is also a wonderful restaurant in SF. This is fantastic! I wonder if some of the college students in the cooking club would be interested in doing any after-school cooking classes. I get calls all the time for my classes in the East Bay, but I don’t have any teachers over there! This is so inspiring, we are identical twin culinary explorers and our dream is to go to France for culinary school. 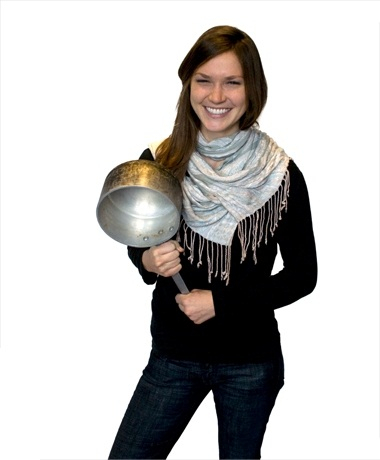 We hope to inspire kids to love cooking and eating grown up style food! Follow that dream, gals, it sounds like a thoroughly delicious one! Berkeley just rocks, doesn’t it? Wow, that sounds like such a cool organization! My friends and I formed a cooking club where we have potluck dinners once a month, but I didn’t really get into cooking until after college. What a wonderful club – and quite an impressive young woman Karen is. I’m sure we’ll be hearing lots more about her in the future. Sounds like someone who is following her passion and engaging with others-what a great programme!